Colors/description: The underlying glass appears to be chartreuse to me (light yellow-green). 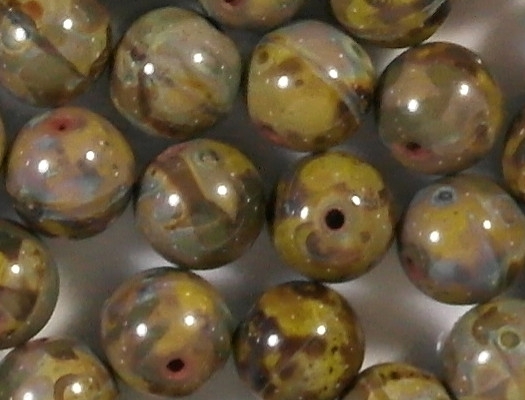 There seem to be two mottled "picasso" coatings on the beads. The first is a dark-brown; over that is a lighter coating with muted colors such as beige, light blue, light green and pink. The lighter picasso coating is quite subtle, and to the naked eyes the colors just mentioned are not very apparent. 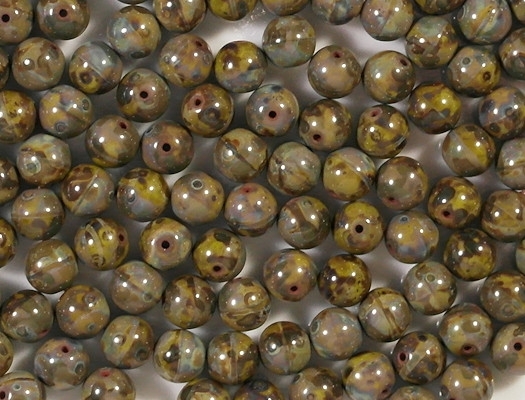 Defects: The picture revealed that some beads may not be perfectly round. 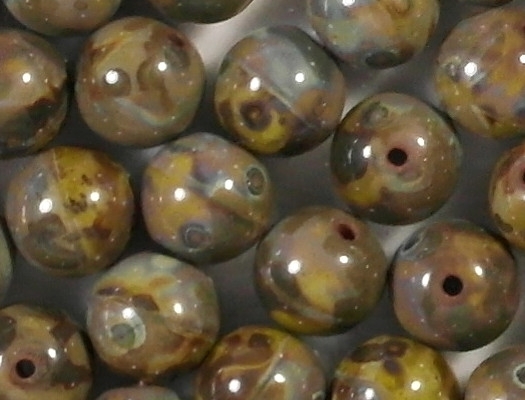 Some portions of the beads look a little flat (but not totally flat). But to the casual observer, the beads simply look round. 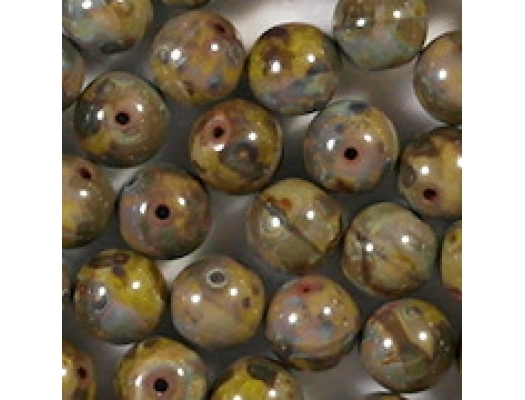 If anything, the slight unevenness of the beads gives them a slightly baroque appearance. Comments: Most of what I have to say about the beads has been said above. The supplier says that the underlying color of the glass is beige, but it appears chartreuse to me. The use of two picasso coatings is common for this manufacturer. 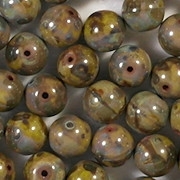 It makes for a more interesting appearance than if the bead simply had a dark-brown mottled coating. The beads are from my supplier of premium beads, which is why the price is high.